Instantly, the new Congress will make history for seating a record number of women and becoming the most racially and ethnically diverse. WASHINGTON (AP) — They’ve got the keys to the offices, new paint inside and parties to attend. But on Thursday, the work was beginning when 534 members of the 116th Congress solemnly swear to govern the divided nation. The new Congress will make history for seating a record number of women and becoming the most racially and ethnically diverse. Republicans will take more seats in the Senate; Democrats will grab control of the House. “It’s a new day in America,” tweeted incoming Rep. Ilhan Omar, D-Minn., one of the first two Muslim women to serve in Congress. Lawmakers will be confronted by a standoff over money and immigration that has shut much of the government and vexed their predecessors. In the 435-member House, a roll call will begin on the election of speaker. Rep. Nancy Pelosi, D-Calif., is poised to reprise her role in that post, second in line to the presidency. Once the vote is over, Republican Majority Leader Kevin McCarthy, R-Calif., is expected to speak, followed by an address by Pelosi. The longest-serving member of the House and its dean, 24-term Rep. Don Young, R-Alaska, will swear in Pelosi. She is then expected administer the oath to House members and delegates at the same time. She prevailed, wielding skills she will need to manage the roughly 235 Democrats who will comprise the House majority in the new Congress. She’s been speaker before, the only woman to hold the post, from 2007 into January 2011. Rep.-elect Rashida Tlaib, D-Mich., will take the oath on a Quran, and not just anyone’s. She’ll use a 1734 English translation that belonged to Thomas Jefferson. Tlaib and Omar are the first two Muslim women to serve in Congress. And they’re just a few of the signs of change that spring from the Nov. 6 elections. For the first time, two Native American women are headed to the House. Massachusetts and Connecticut will also send black women to Congress as firsts for their states, while Arizona and Tennessee are getting their first female senators. Being a freshmen is, well, not as glamorous as winning elections. Governing takes different skills than campaigning. And in Congress, seniority matters, a lot. 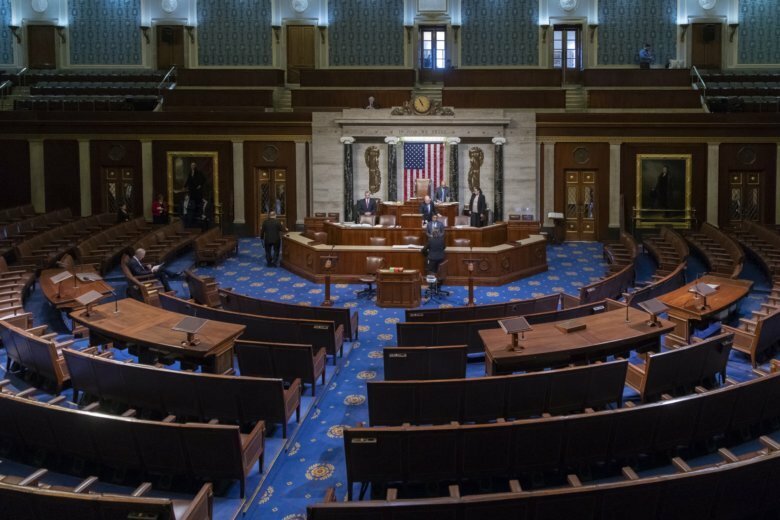 CAN’T THE NEW CONGRESS REOPEN THE GOVERNMENT? Not without Trump’s agreement, and he isn’t budging. He wants billions of dollars for a U.S. border wall. Democrats are refusing. Pelosi said outside the White House that there would be rapid passage Thursday of legislation to re-open the government — without funds for the border wall. But the White House has rejected that package, and it’s going nowhere in the Senate.